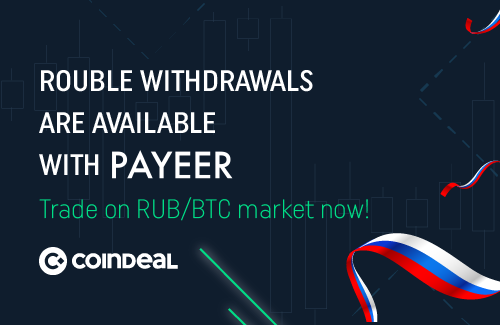 Rouble withdrawals are available with PAYEER! For all those who want to make rouble withdrawals by CoinDeal, we enabled this option using PAYEER. We have very good news for you! As you know, we recently introduced the Russian currency into our platform. You can also make rouble payments directly from the CoinDeal platform using the PAYEER system now.